Data Hold Switch Freezes Reading. Low Battery Indication. - MECO-G has introduced Autoranging Hand held 3½ digit Digital Multimeter with Large LCD display incorporating latest technology. 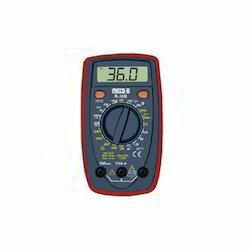 - These Digital Multimeters can measure AC Voltage, DC Voltage, DC Current, AC Current, Resistance, Temperature and Battery Test Voltage. - 3f4W, 3f3W, 3f Balanced, 1f2W and 1f3W Power Measurement. 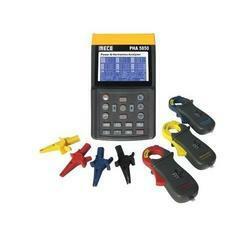 Gained prominence as a reliable organization, we are offering Melo Gi Meter. Our offered meters are developed in different specifications to meet the demands of esteemed customers.